Travel expertise, personalised service and genuine value. Welcome to Australian Escapes Holiday & Travel Club. The purpose of this page is to introduce you to the club by explaining what we do and how we hope to benefit you. We individually research and tailor the best-value holiday and travel packages for you. The benefit to you is that you receive personalised service to help you plan and enjoy the best holiday and travel experiences possible. The real value to you is that you also pay the lowest prices. The largest member discounts (GCash usage) are achieved on domestic and overseas travel with members often saving thousands of dollars on a single trip. You can also potentially save hundreds of dollars off domestic accommodation packages of 5 nights or more. We can also get you the lowest possible prices on accommodation-only packages of 3 nights or more using your membership. Getaway Cash travel credits are used to get you wholesale pricing. Free Flights Vouchers are used on special promotional packages and most custom travel plans to discount flights. The best way is to submit a booking enquiry online. That way we will receive full details of your requirements and can immediately assign it to the correct person for you. We will generally reply by email or SMS (text to your mobile phone) to let you know how and when your enquiry will be handled. We will usually get back to you on the same day, however if you are ready to book, subject to pricing, your enquiry gets priority. Reservations staff are available until 6.30pm week days (Queensland time) to assist with your enquiries. Where can I see a list of resorts and travel packages? Use the Holiday Finder to view example packages. We list example accommodation and travel packages to give you an idea of what we can offer. You can enquire about those or simply tell us where you would like to travel to and we'll put together the best-value package for you. Works perfectly. Use our expertise for professional travel planning. 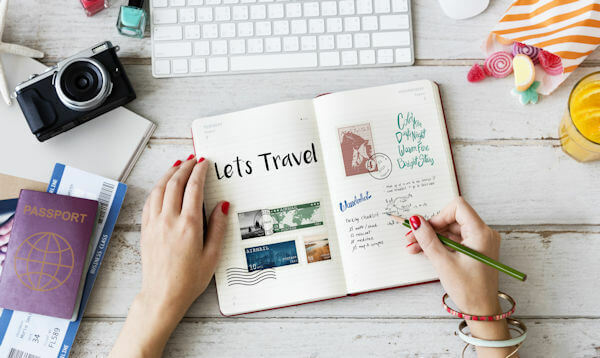 If you're planning a holiday that involves multiple components or destinations you will quickly discover that the self-serve, online environment will only give you headaches and will waste a lot of your time. Further, you might end up paying too much. We deal with travel all day, every day and we know how to ensure that you pay the lowest possible price and have a hassle-free holiday. Key point: As a member, you get our travel planning expertise without the big service fees charged by shop-front travel agents. Plus you only pay wholesale not retail. Can a friend or relative use my membership? Yes they can. He or she should submit a booking enquiry via the website and enter your membership number. In the message section they should simply state that they are using your membership with your permission. However, it is just as easy for them to register on a Travel Club Trial initially.